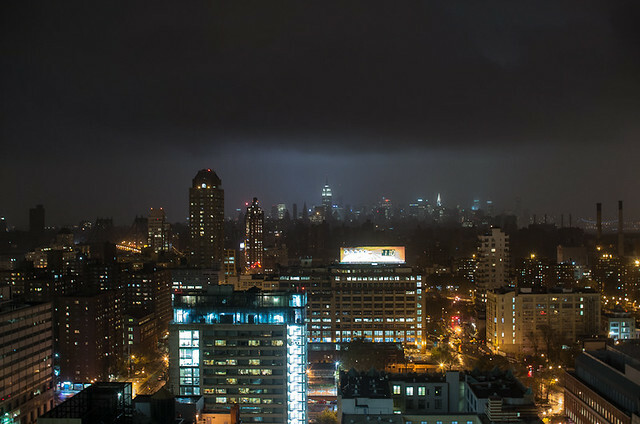 Throughout the arrival and aftermath of Hurricane Sandy, I gathered photos posted on Twitter of the storm’s impact from above New York. The pictures paint a portrait of a deeply resilient city preparing, withstanding, and recovering from the devastating effects of an unprecedented storm. Video of building faÃ§ade collapse on 8th Avenue. Notice how FDNY firefighters run in right after the collapse. That’s the reason they’re called New York’s Bravest.